There are a lot of things happening in the comic book world, especially when we’re talking about The Avengers and Marvel Universe. Some of you may have known Earth’s Mightiest Heroes from the movie, but most comic book lovers will already know that The Avengers version in the movie is nowhere near the complexity that the comic book has. This so-called multiverse, is the reason behind all this complexity. Inside each universe, lies individual story that separates one from another. For example, the blockbuster movie that we know, is called Marvel Cinematic Universe. This is different from the comic book universe, so that’s why you won’t find any Wolverine in the Avengers movie. Let’s add another ‘complexity’ to the multiverse with the latest franchise of Marvel’s game. 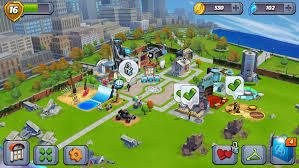 Developed by TinyCo, the men and women behind Family Guy: The Quest for Stuff, Marvel Avengers Academy brings all the super heroes back in their college life, under one building. Marvel Avengers Academy is different from any Avengers stories you’ve read before. So, before we start with the story, make sure you’re not some nerdy lunatics who only believe in one story. 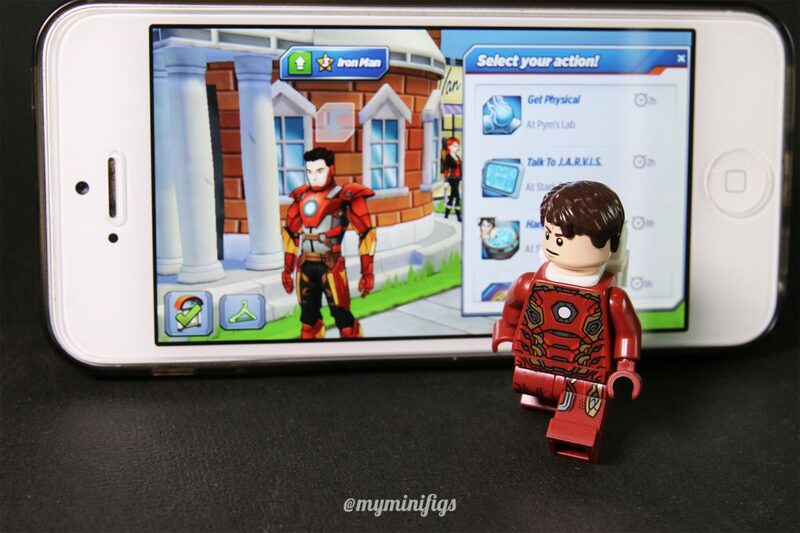 Marvel Avengers Academy brings you to your beloved Avengers characters, back in their teenage dream. To the place where Tony even hasn’t completed his suits yet, the academy. In this school, Nick Fury is the headmaster, helped by the kind and beautiful secretary, Pepper Potts. The school was built to counter the threat coming from the all universe enemy, HYDRA. As the founder, Nick choose several students to help him recruiting more students. At first, Nick chose Iron Man and Wasp, then followed by Loki, Falcon, Black Widow, and then as the story grow deeper, Captain America and even Hulk, finds their way back to youth age, helping the academy beating HYDRA and its crew. Marvel Avengers Academy is like most city-building game has to offer. It is you, building the best superhero academy. No, it is not like other ‘Clash of Clans’ game, nor ‘Sim City’, or ‘Hay Day’. Marvel Avengers Academy shines with their own uniqueness. It takes approach from their unique nowhere-to-be-found story, as well as the younger version of the avengers. The academy-building system itself isn’t that ground breaking. For most of the time, you are only working yourself into advancing the story, by doing story quests, that is. 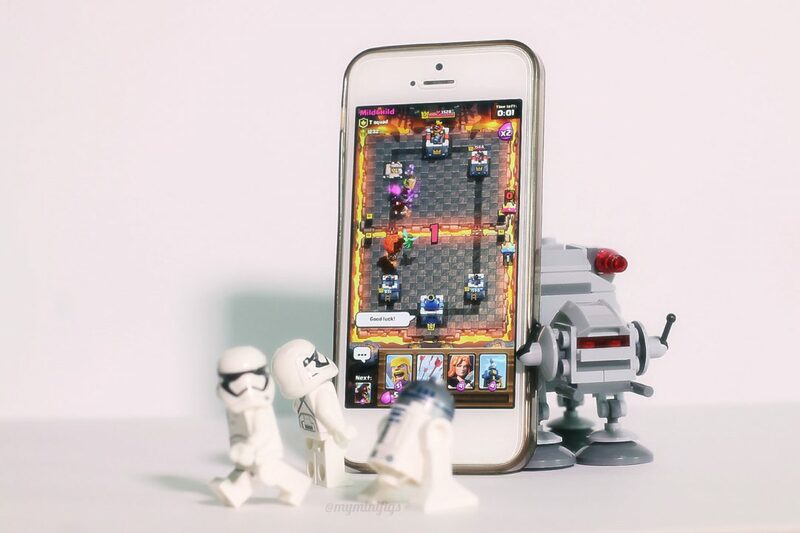 The quests consist of several things, sometimes you have to send heroes for studying or training, sometimes you also will have to develop the academy by creating more building, and many other things that you will have to do. What ground-breaking is the story behind the whole Marvel Avengers Academy thingy. I’ll put you update with the trailer below, so you can catch what this game is all about. 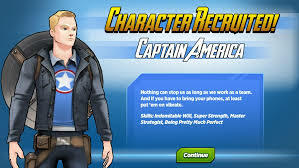 Now after you’ve seen the trailer you will know that each character in Marvel Avengers Academy is dealt individually. They have their own iconic voice character like Priyanka Chopra (Quantico) as Ms. Marvel, Alexandra Daddario (True Detective) as Wasp, Colton Haynes (Arrow) as Thor, Bella Thorne (Scream: The TV Series) as Tigra, Kiernan Shipka (Mad Men) as Spider-Woman, Dave Franco (Neighbors) as Tony Stark, Alison Brie (Community) as Black Widow, rapper A$AP Rocky as Falcon and WWE superstar John Cena as Hulk. Moreover, this list doesn’t even cover the whole characters in Marvel Avengers Academy. Each character serves their own quests. Obviously sometimes their quest will be colliding with other character as well. However, the interesting part is that all the characters are designed with youthful way of thinking, but the signature attitude of each character is still there. So for example, you will still be encountering Tony Stark as a flamboyant billionaire who loves teasing girl and needs to work on his accuracy, despite his look that still like a teen. With the quest, you will get quest items (sometimes) and coins. Coins will then be used to fulfill requirement, either to unlock/upgrade characters, or buying new and upgrading old building. Item quest, will be used as a fulfillment for upgrading or unlocking character. This upgrade system will not only affect on the reward for that particular hero, but also change the way they look. 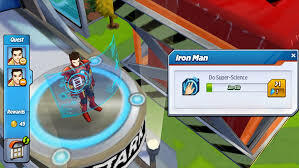 So a full armored Tony Stark will only be available when he reaches 5-star. Before then, he’s just some kid with a repulsor in his left arm. Certainly, it’s not the gameplay that I love from this game. It is nowhere near innovative in my point of view. It’s just a plain game with you just do never ending quests. Level up, unlocking character, and so on. Nothing new, nothing fresh. However, despite all that plain gameplay, I always find myself returning to the game over and over again. It has that weird attractiveness that will keeps you coming back to the game. After several times, I think I find several things that I like from this Marvel Avengers Academy. 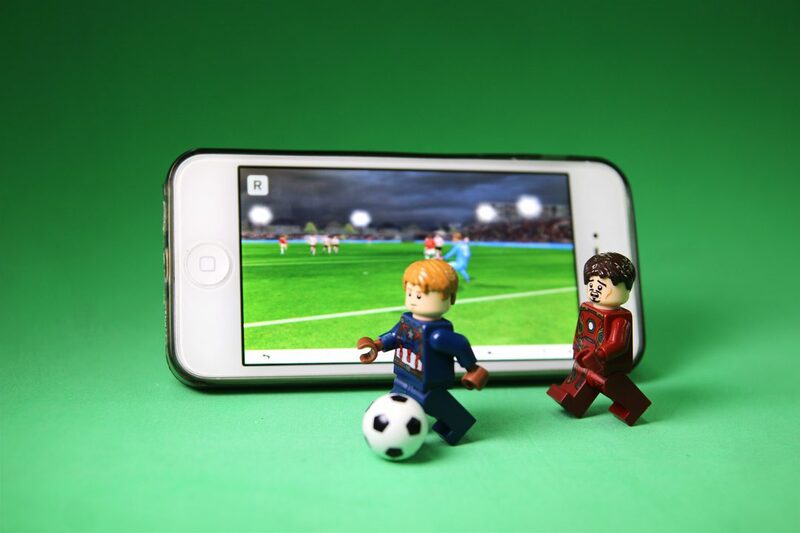 First, is the simplicity from the game. When you’re logging into the game. You won’t do much, you will just collect reward, send some heroes to quest, and that’s it. You can now leave the game as is and continue whatever you’re currently doing. And it’s so fast, you can even doing it while driving your car. The second thing, is the quests. See, the quests inside the game is actually divided into three types of quest, Easy, Normal, and Heroic. These three relate to the reward and time consumed to do a quest. With an easy quest, you will only need less than 10 mins to finish, and up to 8 hours for a Heroic quest. With this you can manage the way you send your heroes so it would be super effective. The characters work are splendid. I couldn’t care less, but it’s always feels good to see the characters inside Marvel Avengers Academy up close while they’re doing the quests. All the interaction feels really natural, like when I send Tony into the Blasting Range, the way he uses his repulsor is like seeing a movie. The detail movement for each character is really accurate. Not only that, the main reason why I keep find myself coming back to the game is because the storyline. Started with HYDRA, the story moves into fighting against AIM, some organization with brilliant scientists who wants to take over the government. While the story moves, there are several other side story like the rivalry between Loki and Enchantress. Black Widow who thinks that Nick’s being too mysterious and hides too many things. For that matter, I think that Marvel Avengers Academy has a lot of aspect but gameplay that will make you keep coming back. There aren’t much that I could give to you about this game. Nevertheless, here are several tricks that I think will help you take the game one step further and get heroes faster. One think for sure that every heroes in this game is unlockable via normal game, so you can just follow the story and you will eventually unlock the hero. Don’t even think to assign quest to heroes that not listed in the quest list. They won’t give you anything. So if they’re not listed, then it means leave them out doing whatever they want. It’s very important to turn on your notifications. It will let you know if the heroes are done with the quest. The character icon inside the portrait will let you know the status of the quest that he’s currently doing. A stop mark means that the hero is currently doing another mission that’s not relevant to that quest. A loading time mark means that the hero is doing that mission currently. Yellow check mark means the hero has finished and can be collected. Green check mark means the hero is finished doing the mission. You need to manage task for the hero appropriately. Prioritize the story quest first as it will help you unlock new characters, new buildings, and new opportunities for making more money. If you’re going to do other mission, always prioritize missions that reward you some items, especially those that reward you Pym Particles. Talking about Pym Particles, you’re not wasting these items since it will be used as part of the quest, unlocking Steve Rogers for instance. So at least save 3 Pym Particles left before you will use it to clear some rubble. 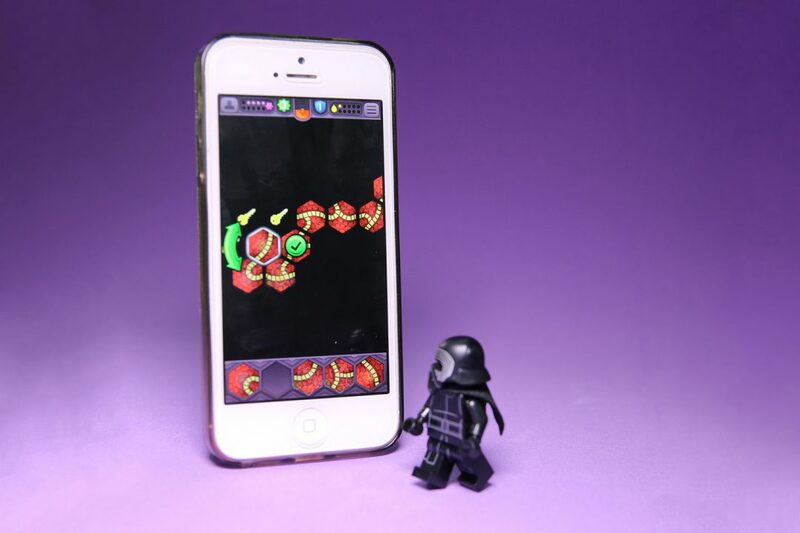 You can tap the character portrait to easily directed into the hero position, enables you to find the hero easily. These are some stories that will unlock the particular hero. To conclude Marvel Avengers Academy, it has a lot of interesting aspect that makes you should try playing. 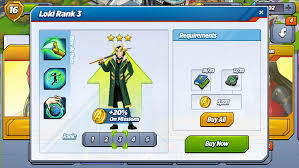 If you’re the kind of person who just simply love The Avengers, I think Marvel Avengers Academy has what it takes that will make you love these Earth Mightiest Heroes even more. That being said if you’re a game junkie that craves for great gameplay, I don’t think that Marvel Avengers Academy will satisfy your thirst.